One of Cappiello’s early black background posters. Relsky is a Balkan-themed French vodka. 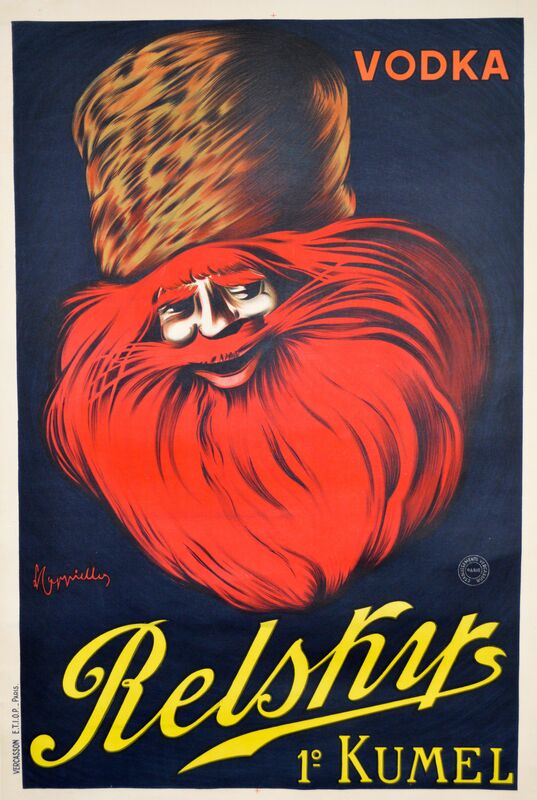 The smiling Cossack was featured in Relsky ads for many years. This is the large format version from 1906. Size: 31.25" x 46 .75"